Pin-pointing your trailer on route. KRONE Telematics GPS. By knowing where your trailer is located, the traffic office knows where all your assets are, where they are headed, where they are held up and how long it will be until they reach their destination. Information to keep you ahead! Your load is safe and sound. KRONE Telematics door status. Whether using standard door contacts or special RFiD door switches which cannot be tampered with and interface with the door locking system, the door surveillance kit puts you in the driver’s seat regarding load security. Cool Quality at the click of a mouse. KRONE Telematics temperature control. Monitoring temperatures on the trailer via manual datalogger units is a thing of the past. 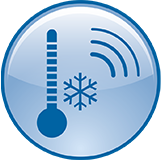 Online information via temperature probes regarding the reefer status, operating mode, alarm codes, set points and even interactive dialogue with the refrigeration unit from the office is all provided by KRONE Telematics. Data can be stored for 18 months thereby complying with current EU regulations. Live action – quality online! In touch with your fleet’s technical status. KRONE Telematics technical package. By integrating with the trailer’s EBS via the CANbus system, KRONE Telematics monitors all standard braking modules and extracts data regarding mileage, load weight, speed and brake pad wear. Your fleet is in good hands! Thanks to the coupling status, you’re always informed of the current hitch status. You can see exactly which trailers in your fleet are currently hitched to a tractor. This status report also informs you directly if the trailer has been correctly hitched to the tractor. One system does it all. 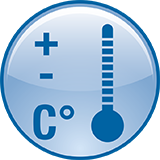 The integrated temperature recorder in accordance with the EN 12830 standard. There is no need for a separate temperature recorder due to the certified temperature sensors used by KRONE Telematics. The tasks usually completed by temperature recorders are completely adopted by KRONE Telematics. The temperature data can be collected in individually selectable timeframes. Thus, the certified temperature profiles of your cold chain can be directly collected in a document and made available even before your customer has received the goods. As a result, the driver is not forced to wait un-necessarily, as the document can be inspected in advance. KRONE Telematics, which includes the KRONE temperature recorder, therefore acts a multifunctional device. 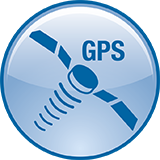 Standard telematics data and certified temperature data are provided. Suitable for Pharmaserve Certificate. Talking directly to your reefer unit by remote control. 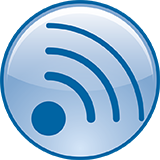 Live data transfer has revolutionized the monitoring of reefer units. This is real progress in quality assurance as the cold chain can be closely managed. 2-way communication – controlling and operating. KRONE Telematics also offers installation of a technology package that provides information about trailer status such as brakes, load and tyre pressure. KRONE offers you an optional petrol gauge for every KRONE reefer trailer or refrigerator. This optional gauge displays the reefer unit status on the end wall of the trailer. 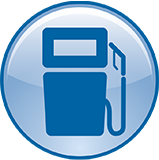 The KRONE Telematics portal conveniently informs you of the current petrol status of your trailer, so you’re always in the know. You can of course also upgrade KRONE Telematics. Please contact us if you would like to know more. 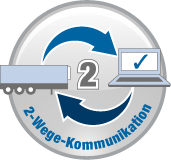 KRONE Telematics Door Protect includes a door locking system controlled by the telematics as a security measure for transporting high-value goods (cigarettes, pharmaceuticals, electronic items, etc.). In doing so, the system allows the rear doors to be locked using a specially designed high security door locking system. 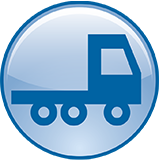 During transport, it ensures that the doors remain closed and cannot be opened by unauthorised third parties. 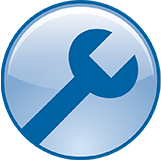 All technical components can be monitored constantly via the telematics system. Moreover, if events occur during transport, an alarm is triggered immediately and a message is sent to the dispatcher or a monitoring service provider. The doors can then only be opened with the combined input of the driver and dispatcher/monitoring service. 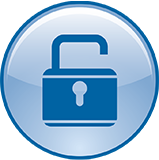 The doors can only be unlocked when the driver enters his personal code once the system has been deactivated via the KRONE Telematics Portal. 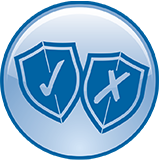 KRONE Telematics Door Protect offers absolute protection, even for freight with the highest theft potential (suitable for TAPA).